No artificial flavours or preservatives. 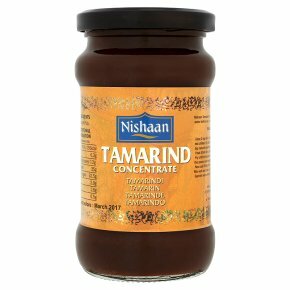 Suitable for vegetarians.Nishaan Tamarind Concentrate has a tangy flavour. This dark paste is normally diluted with warm water before use. A vital ingredient in sweet and sour dishes, chutneys, sauces and fish dishes. If tamper seal is broken do not consume and return to address on label.